Yahoo's massive new security breach is once again throwing its deal with Verizon into question. 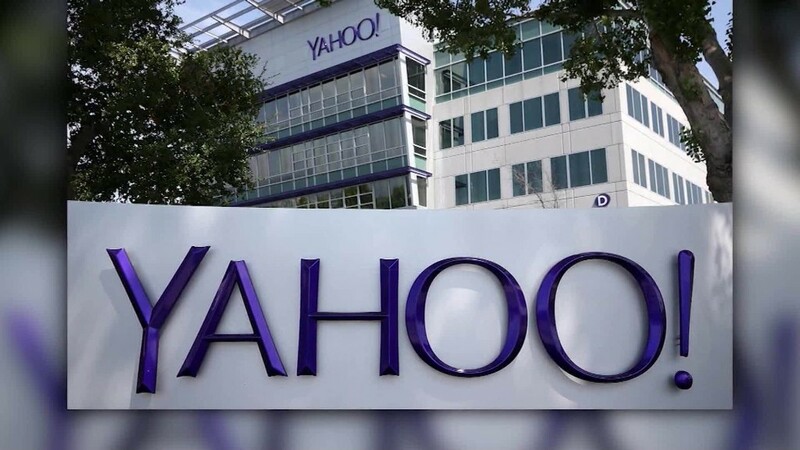 Yahoo (YHOO) stock fell more than 5% in trading Thursday morning following a Bloomberg report that Verizon (VZ) is weighing whether to cut the $4.8 billion price tag of its acquisition or abandon it entirely. "We are confident in Yahoo's value and we continue to work toward integration with Verizon," a spokesperson for Yahoo said in a statement. Verizon declined to comment beyond an earlier statement on the breach. "As we've said all along, we will continue to evaluate the situation as Yahoo continues its investigation," Verizon said in the statement Wednesday. "We will review the impact of this new development before reaching any final conclusions." Yahoo disclosed the new breach on Wednesday, which may have affected more than one billion accounts. The breach dates back to 2013 and is thought to be separate from a massive cybersecurity incident announced in September, which affected at least 500 million accounts. The latest security breach, likely the largest in history, may give Verizon new bargaining power to renegotiate the terms of the original deal. There is a possibility of user attrition, lawsuits and damage to Yahoo's brand. But it may not scuttle the deal completely. Verizon agreed to buy Yahoo in July with the goal of using the aging Internet company's vast audience to compete for online advertising sales against the two dominant players, Facebook (FB) and Google (GOOGL). That strategy still applies, as long as Yahoo hasn't lost the majority of its user base. "At the right price, it's absolutely beneficial to Verizon. The key word is 'at the right price.'" says Brian Wieser, an analyst who covers Yahoo for Pivotal Research Group. No new acquisition price was mentioned in the Bloomberg report, which cited an anonymous source. After the first hack was disclosed in September, SunTrust analyst Robert Peck estimated it could shave $200 million off the deal. Verizon learned about the original hack months after the acquisition had been announced. Both companies have since admitted the acquisition is not a done deal. Earlier this month, however, AOL CEO Tim Armstrong said he was "cautiously optimistic" the Yahoo deal he had pushed for would actually go through. That was just days before the second breach was disclosed. If Verizon were to back out of the deal entirely, it would be yet another mark against the leadership of Yahoo CEO Marissa Mayer -- and a particularly costly one for her. Mayer is entitled to a $44 million golden parachute if she is terminated after Verizon buys Yahoo, according to a company filing from September. The deal was originally slated to be completed in the first quarter of 2017.